Discover the relationship between prayer and healing and the universal truth that unifies. The ideas shared in Signs’ lecture are based on the teachings of Jesus as recorded in the Bible, and as explained in Science and Health with Key to the Scriptures by Mary Baker Eddy, including the spiritual sense of the Lord’s Prayer. 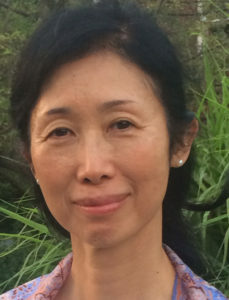 Fujiko Signs worked as a market research consultant for computer manufacturing companies and taught Japanese language and literature at community colleges and universities across the United States. In her mid-thirties, Fujiko fell ill and sought healing through different treatments, but none of them gave her a lasting cure. As soon as she started reading about Christian Science, a prayer-based system of healing, she was relieved from various stress and limitations and realized that she no longer suffered from the symptoms that had limited her before. Now a full-time practitioner and teacher of Christian Science healing, Signs speaks internationally as a member of the Christian Science Board of Lectureship. This lecture is sponsored by First Church of Christ, Scientist, Irving, TX. For more information, please call 972-253-7202 or email clerkcs@aol.com.